You may have noticed that we're about a week behind on our daily photos. We have, you see, been at a conference in Stellenbosch for the past week. 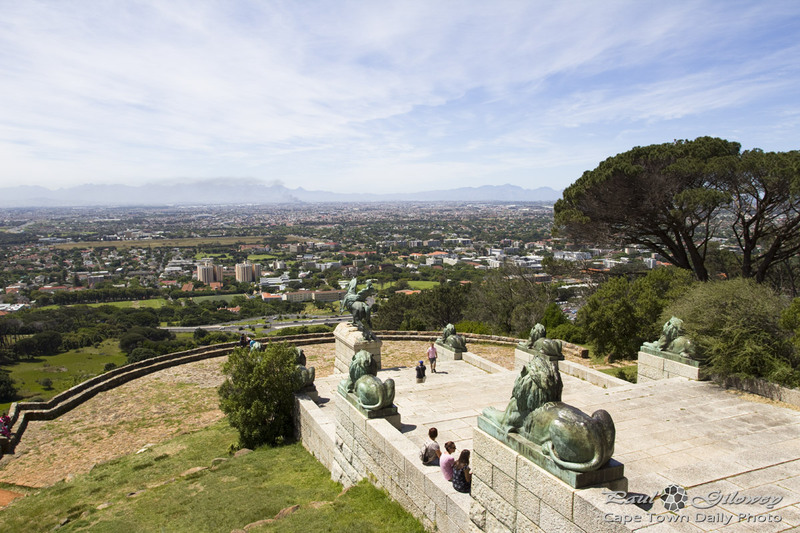 Our driver arrived promptly at Spier Estate at 10am and we headed straight to our first stop, Rhodes Memorial, where this photo was taken. Isn't it a pretty view? Posted in Sights and tagged rhodes memorial on Tuesday, 23 October, 2012 by Paul.